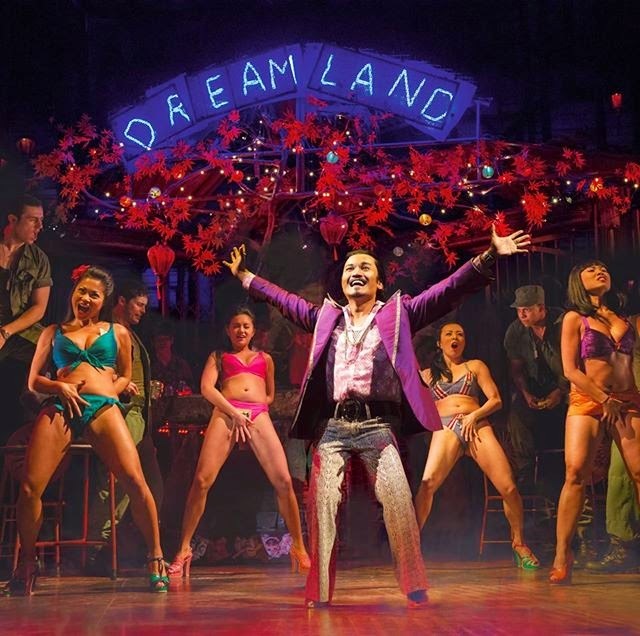 The revamped Miss Saigon opened to rave reviews on 22nd May at the Prince Edward Theatre in London. It is the musical's 25th anniversary year and they have just announced that they are performing a special gala on September 22nd at 7:00 pm featuring the cast of the new production and a special finale with members of the original company (including Jonathan Pryce,Simon Bowman and Lea Salonga who were the original Engineer, Chris and Kim), All tickets will be at the original 1989 prices of: £22.50, £20.00, £16.50 and £13.50 and they go on sale on Tuesday 26th August at 10:00am. Fans of the show will have a two-hour priority-booking period on-line from via “MISS SAIGON” social networks and the official show website with general on-sale starting at 12.00 noon (maximum 2 tickets per person on-line). Fans can also purchase by queuing in person at the Box Office which is open from 10am (maximum 4 tickets per person). To register please visit miss-saigon.com. The show will be recorded for BBC Radio 2 and will be broadcast in its entirety on Sunday 28 September . The first Live Cast Recording of the entire show featuring the 2014 company goes on sale on Monday 22nd September.